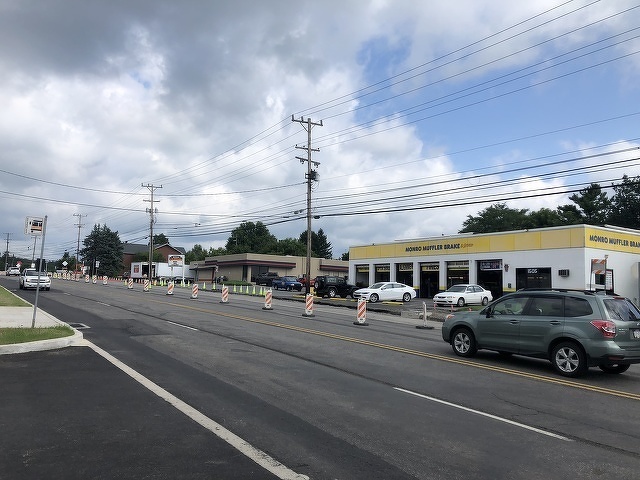 After taking a winter break for the past two months, work on PennDOT's North Atherton Street project will restart on Monday and continue through the fall. For the week of March 11-15, crews will be installing drainage on the right side of Atherton heading toward Park Avenue, between West Mitchell Avenue and Hillcrest Avenue. The contractor also will be installing a waterline on the same side from Ridge Avenue to Park Avenue. Those jobs will result in daytime lane closures with at least one lane open to traffic in each direction. Verizon will be working on fiber optic cable splicing between Cherry Lane and Park Avenue. Between Cherry Lane and Hillcrest Avenue the far left lane heading toward Park Avenue will be closed during daytime hours and from Hillcrest to Park Avenue will be closed during nighttime hours. No work is scheduled next week between Aaron Drive and Cherry Lane, the area where the bulk of last year's work took place. A 25-mile-per-hour speed limit will remain in effect through the length of the work zone until work is completed in the fall. PennDOT reminds drivers to both lanes up to the merge points and to exercise patience and caution while traveling through the work zone. Marc Maney, PennDOT's chief inspector in charge of the project, said last month that the project work this year is not expected to have as severe an impact on traffic as last year. Two times this spring, however, will see periods of only one lane open in each direction 24 hours a day. One will occur during a 10-day period to be determined between late April and late May for installation of a box culvert at the Big Hollow Run crossing (near TGI Fridays and Discovery Space). The other will occur from May 6-23 for complete reconstruction of the road between Mitchell Avenue and Hillcrest Avenue. The area between Aaron Drive and Big Hollow is expected to be paved beginning sometime in April, with only minor work left on that portion for the remainder of the year. The majority of the work this year will take place from the Big Hollow Run crossing to Park Avenue. Two lanes in each direction will remain open during heavy traffic times, such as Blue-White weekend, Penn State graduation weekend, Fourth of July, Arts Fest, Penn State move-in and home football weekends. Work is scheduled for completion on Oct. 18. That, however, may be extended into November if the contractor does work between Park Avenue and Curtin Road to get a head start on next year's project. In 2020, work will continue through to Westerly Parkway. PennDOT is hoping to complete that portion in one construction season. The overall Atherton Street project includes relocation of utility, sewer and water lines, drainage improvements, curbing, sidewalks, ADA ramps, traffic signal upgrades, a new concrete median and paving. To become a champion, you need talent, work ethic and a strong support system. Luckily, Johanny Velasquez has all of these. 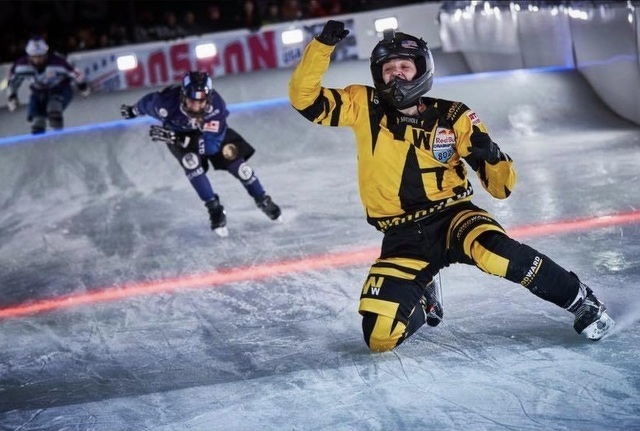 The Woodward resident and State College Area High School senior put the complete package together on Feb. 8, taking the Red Bull Crashed Ice Junior World Championship at Boston's Fenway Park.